Day Translations, Inc. offers a special discount to the staff of BayCare. 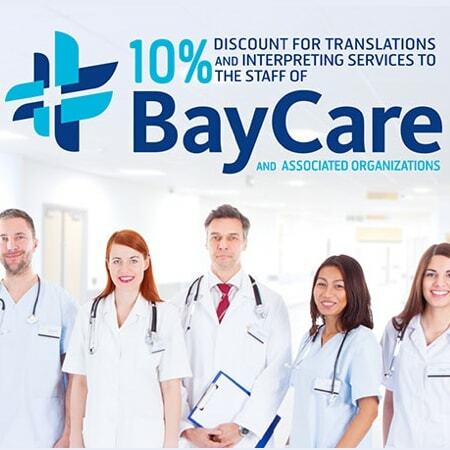 As one of the largest companies in the Tampa Bay area,we support our community by offering a 10% discount for translations and interpreting services—not only to BayCare, but also for each and every associated organization,including: Mease Countryside Hospital, Morton Plant Hospital, St. Joseph’s Children’s Hospital of Tampa, St Joseph’s Womens Hospital, and South Florida Baptist Hospital. Founded in 1997, BayCare offers an impressive variety of services and programs designed to meet the healthcare expectations of both individuals and communities throughout Florida. Since inception, BayCare has been the synonym of comprehensive care at every level and in every form, including outpatient imaging, emergency surgery, and prenatal counseling. BayCare is known throughout the Tampa Bay Area for its 11 non-profit hospitals, over 200 facilities, and various health care services. For many years, it has helped to improve the health of the community through professional and dedicated health care services that set the standard for high-quality and compassionate care. What do Day Translations Inc. and BayCare have in common? Beside our shared roots in the Tampa Bay Area, Day Translations and BayCare share a passion for professional and trustworthy service in our respective niches of expertise. We both maintain a strong emphasis on high quality, dedication, and excellence. 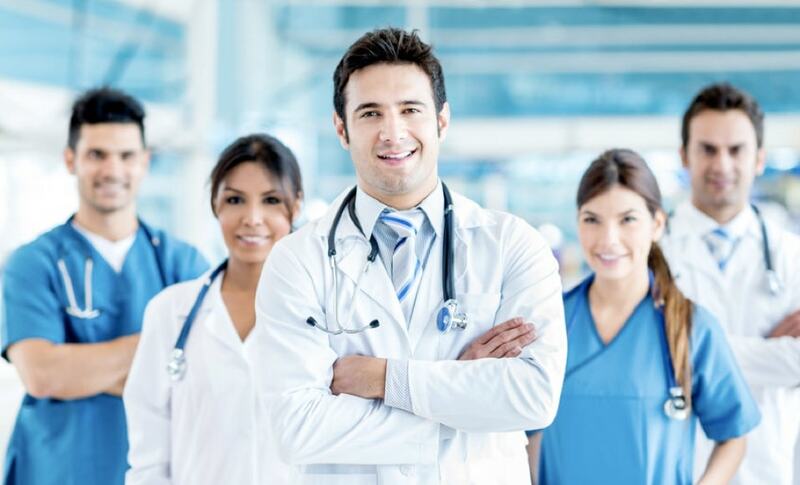 Our accurate medical translation and interpreting services will provide a valuable contribution to BayCare.